Why Having a Compensation Strategy is a Must Free Community College: What's all the Buzz? A mention in the Statue of the Union is usually a sure-fire way to simultaneously be thrust into the national spotlight as well as get written off as political posturing. Even if Washington is a standstill, the media coverage around the U.S.’s lack of parental leave over the past year has placed this issue in a whole new framework—one that just might persuade the American public and business owners alike to take a second look. Technically the U.S. is actually tied for last with Papua New Guinea in terms of guaranteed paid maternity leave in 2015, but in a list of developed countries worldwide, “last” is hardly where one might expect the U.S. to fall in the rankings. Not only do virtually all other developed nations offer a longer period of leave to new mothers than here in the U.S. (12 weeks under FMLA for about half of the workforce that qualifies), there is also a guaranteed level of pay during at least a portion of the leave. Not unlike FMLA, there are of course certain parameters and legal subtleties that may restrict each country’s individual policy a bit more than can be shown in many of the quick graphics that are floating around the media, but ultimately, the key difference remains – any guaranteed pay at all. The U.S. also ranks last in the same worldwide list noted above in terms of paternity leave, which is not mandated by any federal law even without pay here in the U.S. Although local and national surveys have indicated a growth among organizations providing paternity leave, the duration of the leave is typically about one week and can be either paid or unpaid (2013-2014 ERC Policies & Benefits Survey). Particularly as the Millennial generation begins to take over the workforce and enter their child-bearing years, the demand for more balanced leave policies between the genders is only likely to grow. 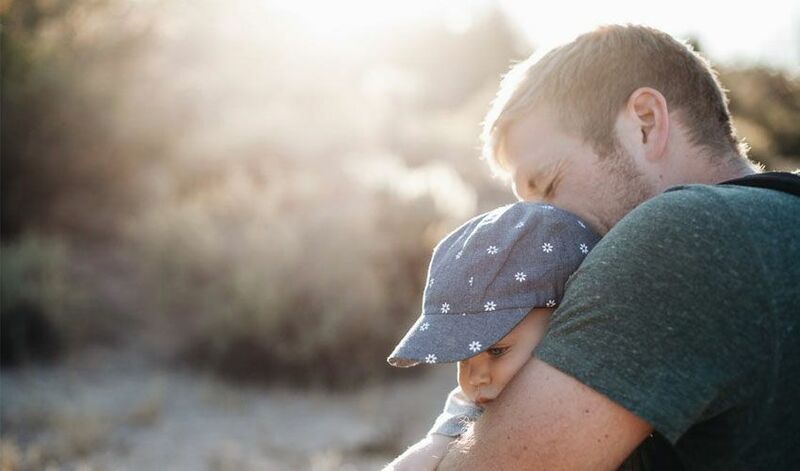 Organizations looking to get ahead of this curve have plenty of examples internationally to pull from, as well as a number of larger domestic companies that have chosen to set themselves apart in their gender neutral parental leave benefits offerings. However, even more challenging than designing a progressive paternity (or neutral parental) leave policy, is implementing such a policy. Indeed, paternity leave is likely to be one of many generational issues that have the potential to cause conflicts as Millennials join the workforce in greater numbers. As the public sentiment in favor of paid parental leave grows, legislators on both sides of the aisle are speaking out in support of the concept of paid leave—although unsurprisingly, they are diametrically opposed on how to actually tackle the issue. With three states, namely California, New Jersey, and Rhode Island, already with paid parental leave laws on the books, many Republicans would prefer to keep “big government” out of the picture and let the individual states model their own legislation after the existing policies. A bit further to the right on the political spectrum, others argue that “the market” will take care of these types of things and insist that if there is enough public pressure, businesses will make “the right choice” and grant their employees the time off they want and need to take care of their families. On the left, several bills are in the works or have already been introduced by Democrats in the House of Representatives. Although less comprehensive than "The Family Act" (which would provide guidelines for mandatory paid leave for public and private employees alike), “The Federal Employee Paid Parental Leave Act”, was most recently crafted in direct response to the President's State of the Union address. This bill would require six weeks of fully paid parental leave and even an advance on this pay in certain circumstances and is one of several attempts that Democrats have made in the past decade to extend paid leave benefits to federal workers. Concerns are of course being raised about how the President would fund his proposal for 6 weeks of paid parental leave for federal workers. Indeed, the price-tag to provide pay to even a small portion of the federal workforce that would need to cash in on such a benefit would be quite hefty—$250 million annually according to the Office of Management & Budget. Clearly, financial concerns are top among private business owners as well, as discussion around a more sweeping federal mandate for all public and private employers continues. However, in practice there is data that strongly suggests this kind of short term benefit for employees, i.e. paid parental leave, could actually have a longer term financial benefit to the employer. A 2015 article in Bloomberg Businessweek provides both research based as well as case-study based examples. The author cites a 2011 study of California's paid leave law, which found an 11% better retention rate following leave, among low-wage workers who were paid during their leave than those who did not receive pay. In addition, the employer highlighted in the article, Laughing Planet Cafe, did their own analysis when considering offering its employees paid leave. While Laughing Planet is a chain, it is certainly not among the "Googles" of the world, where paid leave has gained much traction in recent years to help recruit the best and brightest young employees. In short, the owners of Laughing Planet determined that paying the employee out on leave, while simultaneously paying another employee to cover their shifts, was still cheaper than losing an existing employee when they start a family and having to make and train a new hire from the beginning again. This report summarizes the results of ERC’s survey of organizations in Northeast Ohio on practices related to parental leave policies & practices. Submit your contact information and we'll email you ERC's Parental Leave Policies and Practices Survey report.